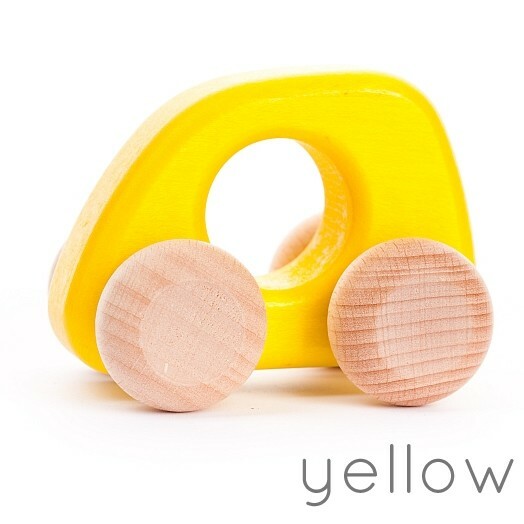 Young motoring fans will love taking this little car for a drive. 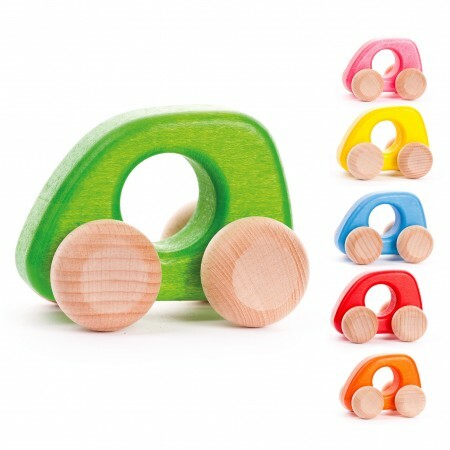 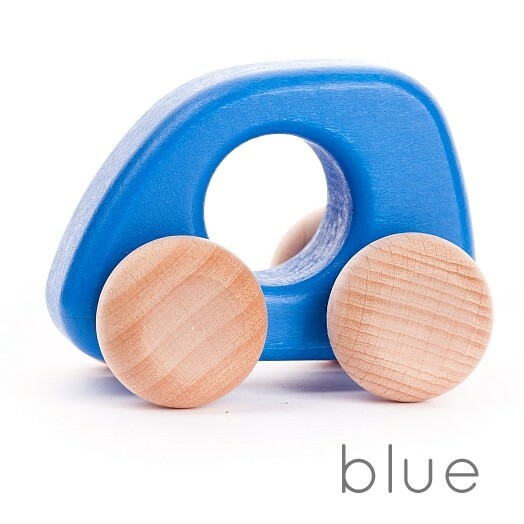 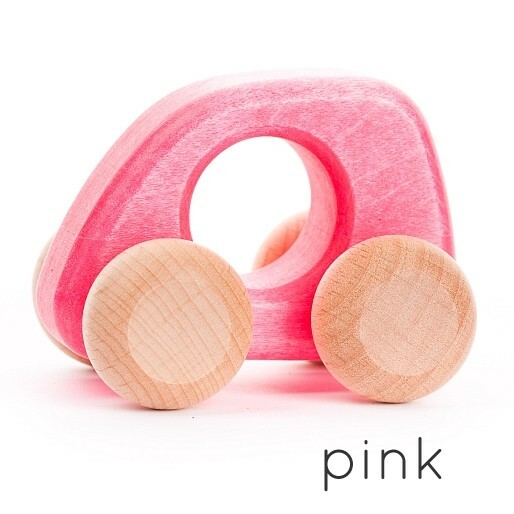 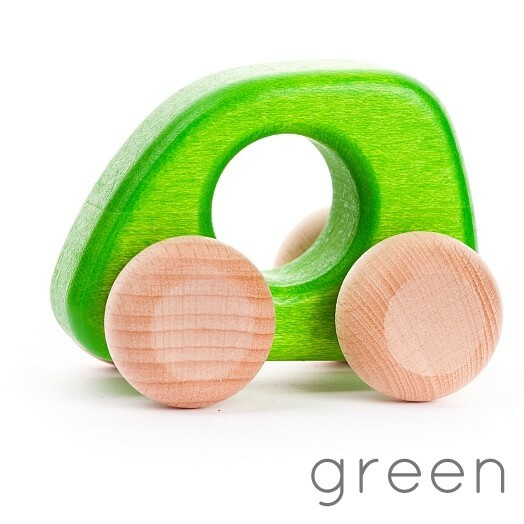 Made from solid wood, this dinky car is ideal for little hands with a cut out loop making speedy manoeuvres easy. 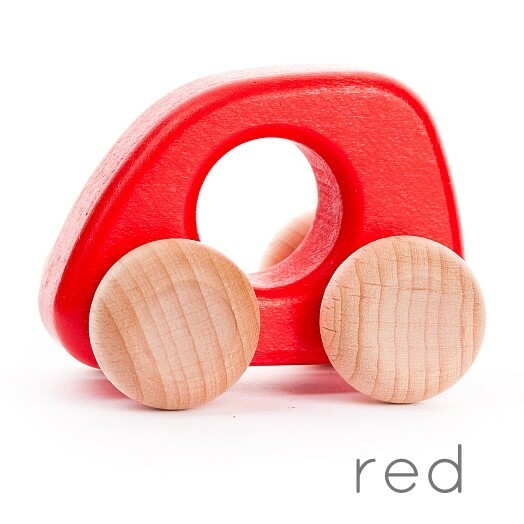 The wheels are left natural, showing off the rich grain of the wood, with the car body painted a bright colour. 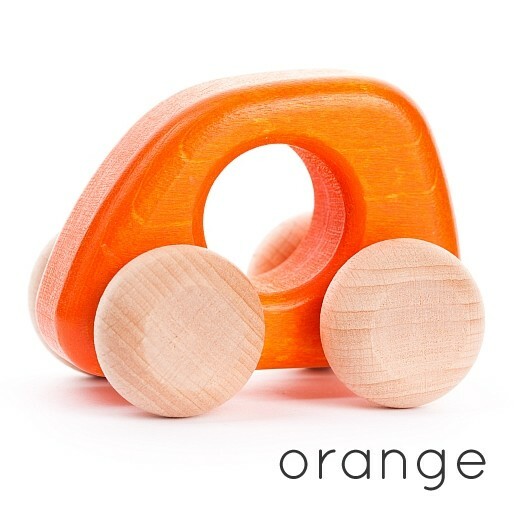 This classic toy will be a hit with vehicle-mad tots. 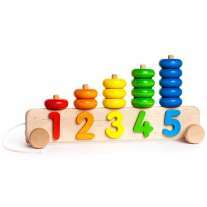 This toy measures 5cm x 5cm x 7cm.